CBC’s family drama Heartland won a showdown with the Global comedy ‘da Kink in my Hair, as the two new homegrown series went head-to-head with their debuts Sunday. The Calgary-shot Heartland, about a family dealing with their debt-ridden horse ranch, premiered to 513,000 viewers at 7 p.m. on the Ceeb. Global’s Kink trailed at 7:30 p.m. with 343,000, despite its cushy spot between two episodes of The Simpsons. The comedy proved popular with females, improving on its lead-in by 46% among women aged 18-49. In Calgary, it upped its lead-in by 73% for adults 18-49. 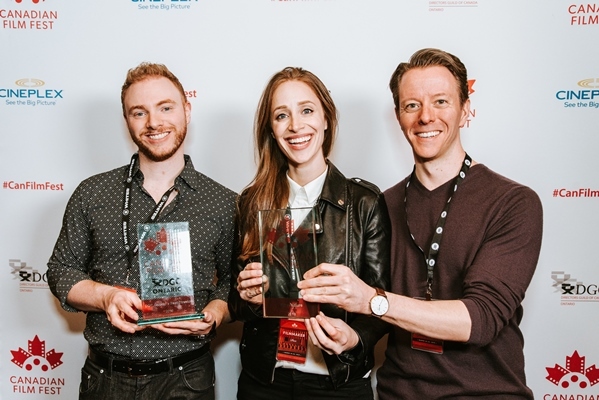 ‘Kink had a strong, noteworthy performance, and we’re definitely on the mark with our target audience for this original series,’ says Global VP of original programming Christine Shipton. The series revolves around the quirky owners and customers of a Toronto beauty salon in a Caribbean expat neighborhood. The premieres came amid a war of words between Global and CTV, with each claiming victory in the fall battle for eyeballs. Global claimed this week it is closing in on CTV’s ‘long-held ratings monopoly’ by dominating the 18-49 demographic with shows including House, Survivor: China and Heroes. A press release states that it has delivered six out of the country’s top 10 programs from Sept. 17 to Oct. 14 in the key demo. CTV fired back, calling the claims ‘misleading.’ The network says Global is ignoring the 25-54s, noting CTV has seven out of the top 10 shows in that demographic.